Use this marketing tool to ornament" your promotional event. 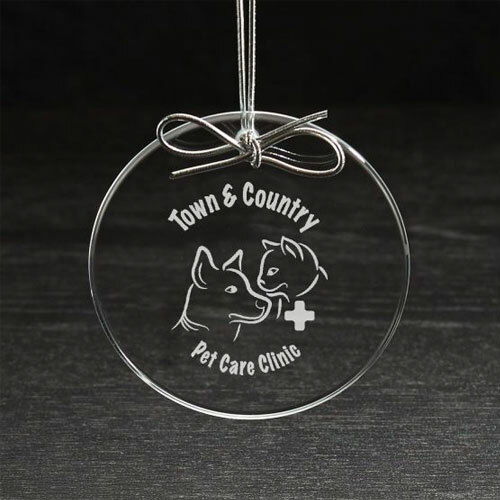 Our circle ornament is a beautiful clear glass ornament that allows for an elegant etched imprint or a full color imprint for a photo, or just a colorful holiday theme. Can be used year-round as suncatchers. Gift Box / 22 lbs lbs / 100 pcs. / 19"x13"x13"box.